Ill With The Composition: ILL LSD SNOWCONE: Neon Indian, "Laughing Gas"
Sometime during the past week or so, as July gave way to August, summer finally decided to make an appearance in central Pennsylvania; suddenly, the air possessed a muggy heft, sweat came easier, and the constant hum of our basement dehumidifier became part of the overall domestic ambience. Lazy dips in the cheapie inflatable - and largely neglected - backyard pool became imperative; yard work, less so. And then -as if on cue - the promo for Neon Indian's Psychic Chasm materialized in my mailbox, Tex-Mex hued paper sleeve and all. So what've we got here? A post-Ducktails, post-Ariel Pink laptop stew that burbles and warps like overbearing summer sunshine (ozone alerts, we hardly knew ye) is supposed to. The aluminum definition of what Glenn Danzig meant by "dirty black summer." Interstate traffic jams that seem to have no beginning or ending, and weeks later, all you can recall is the sensation of roasting alive in a smoldering cage of plastic, steel, and upholstery. As titled, "Laughing Gas" suggests delirium, dementia, surreality. As experienced, it delivers those questionable goods: dosed giggles looped and cajoled, a synth hook nicked from a half-dozen 80s pop-radio staples and hiccup-ed into vertigo-disco infinity, an almost seasick rhythmic bounce, vintage boom-bap beats. Freed from the Reagan-era associations it evokes, "Gas" runs the risk of seeming inconsequential, disposable, trifling; yoked to them, it conjures the flush of near-dehydration following a day-camp marathon, four-square throw downs, "Cruel Summer" blaring from a Cyndi Lauper-wannabe counselor's ever-present boom box. 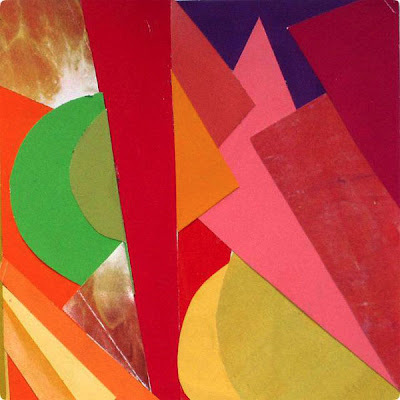 Click here for the Lefse Records site, where non-"Laughing Gas" Neon Indian songs are available for free download.